Perupok is a fruit from South East Asia. It seems to have been originated somewhere in Java. Borneo or the Philippines. It is occasionally cultivated but still this is not a very common fruit and can be categorized under rarefruits. A small tree upto 10 m tall, monoecious. 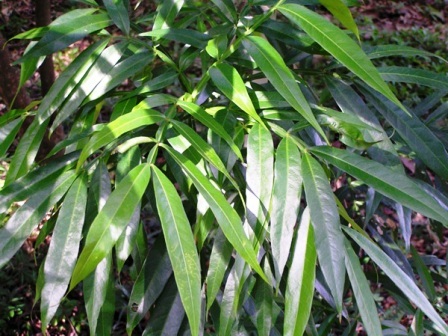 Leaves compound, leaflets 8-12, purple in the beginning but green at maturity. Inflorescences upto 50 cm long, flowers purple. Fruit a globose berry, arranged closely and attractively in big bunches formed by clusters containing about 20 fruits per cluster, 2.5 cm in diameter, deep red to purple, shiny, with a pointed tip. Seeds 1-4, endocarp often separating and forming an arillode. Fruits are edible. These taste fairly sweet. These are also offered for sale at some local markets. 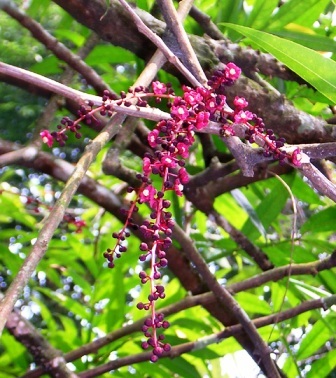 Perupok is a quite attractive tree with pigmented young foliage long inflorescences. So it is also a good selection for planting as an ornamental tree. This fruit does not have a specific fruiting season and keeps on flowering and fruiting through out the year. 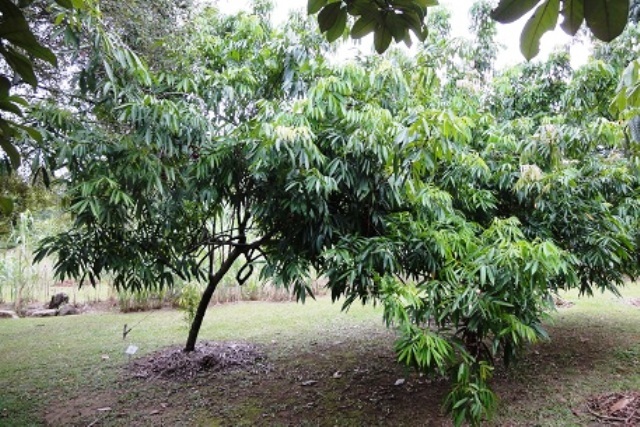 New tree of perupok can be raised from seed. The seeds are transferred to their permanent location when one year old. 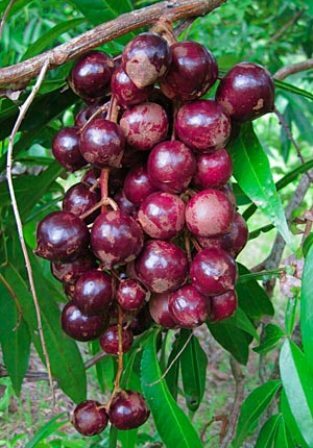 Though a perupok tree bears edible fruits which are also offered for sale, yet it planted only as an ornamental tree. The fruits are just a byproduct.